The company gave me an opportunity to customize my own shirt and it's easily the best fitting made-to-measure garment I have in my closet. Spier & Mackay prides itself on delivering high-quality products, and it really shows in some of the shirts' standard attributes. 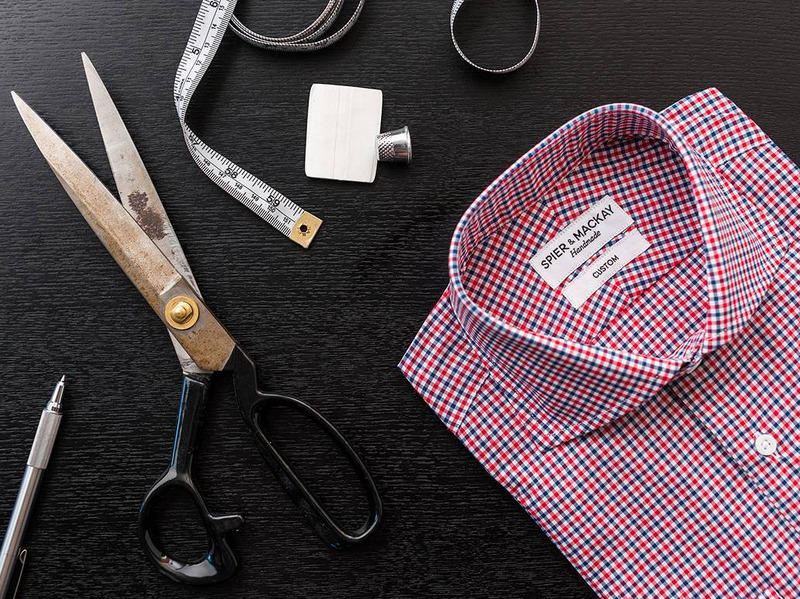 Egyptian cotton fabric, nine--piece hand-turned collars, removable collar stays, and matching patterns at all the seams are just some of the few key features each Spier & Mackay shirt — whether custom or not — includes. The final step is to enter your measurements. Here, you'll be presented with three options for sizing — measuring a shirt from your closet, measuring your body, or selecting standard sizes. Since the whole premise is to create a shirt that's customized specifically for you, I strongly recommend measuring your body for sizing. Unless you're measuring a custom-made garment, you'll probably end up with standard sizes and a fit that's not exactly for you. After choosing a premium wrinkle-resistant twill ($129), mother of pearl buttons ($12), and a monogram ($2), the shirt I designed came out to $143. Although I went all out during the design process, I believe that Spier & Mackay custom dress shirts are still a good value. I was extremely pleased with the overall fit, the quality of the stitching, and the reinforced gussets — and those are all things you'll receive no matter which material you choose.